Shrine of Seven Stars ?? Shrine of Seven Stars, Vale of Eternal Blossoms ?? Shrine of Seven Stars, Valley of the Four Winds ?? 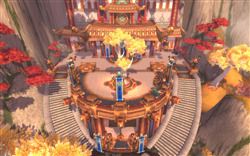 Kun-Lai Summit, Shrine of Seven Stars ? ?